What Makes Successful Products, Services and Brands? What do successful brands and innovative products/services have in common? Hint: The solution comes via Sartre’s thoughts. What would you do if you bit into an elegantly frosted, pink cake and it tasted of garlic? How consistent is the message that comes from the experience of your company, service or product? Do the textures, shapes, smells, sounds, flavors, and colors harmonize in creating the emotional experience that you want? If your product is pink, does it taste pink? I recently read this wonderfully provocative piece on how archaeology can be used as a tool for new product research. The crux of the paper is that insights into new product opportunities can be gleaned when we shift the focus off the consumer, and onto the products themselves, as this graphic shows. While this perspective is fascinating, it’s not entirely new. Certain industries have, for years, been focusing on products in a unique way that others don’t. One of these is the medical device industry. In this industry, once a product is sold it isn’t forgotten. If, at any time, there is a problem with a product, the Manufacturer is supposed to be notified of the failure. It is then incumbent upon the Manufacturer to look into the failure, and based upon the results of the analysis, undertake corrective and/or preventative actions to ensure the failure doesn’t happen again. The package landed on my desk with a thud. 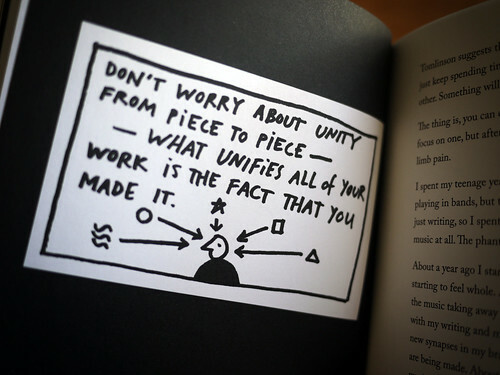 A Trio of Manifesto’s For Creative Inspiration – Rock the World with You! 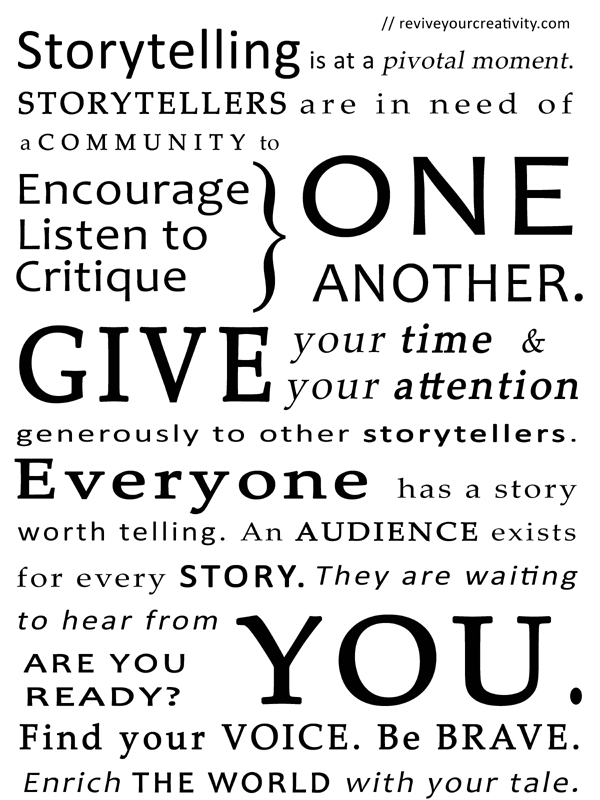 The storytelling manifesto was inspired by two other brilliant compositions. The first is from Expert Enough. 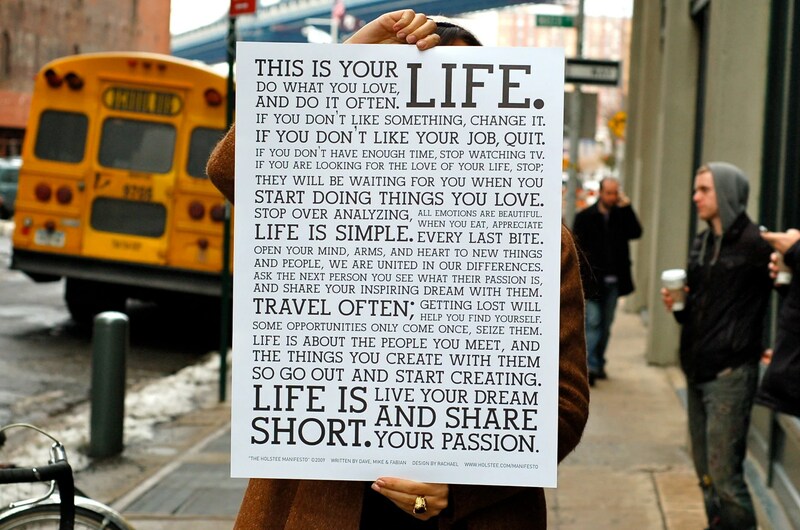 The other is from Holstee. 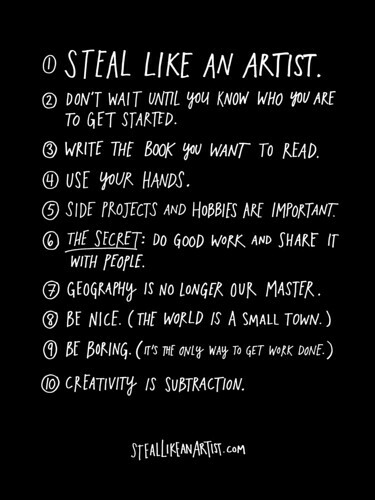 I recently came across the book “Steal Like an Artist” bu Austin Kleon. The title is what grabbed me first. 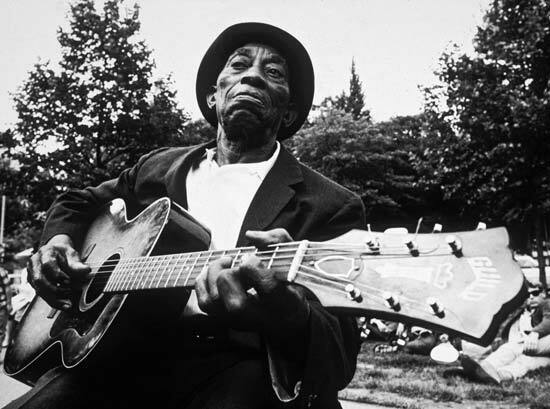 Being a musician I know that Blues artists, especially in the first half of the 20th century, did a good deal of borrowing, sometimes, outright stealing of other musicians’ music and lyrics. 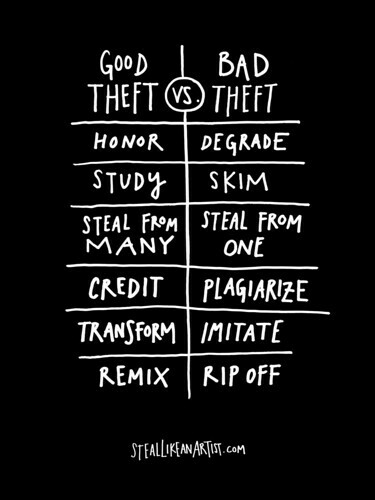 Blues artists did a lot of the “Good Theft”. One last bit of wisdom for those artists, in fact, all people, that think they need to bring a cohesiveness to their lives and their work. I’m really looking forward to diving in to this book more deeply.